Boston, MA: As taxpayers across the Commonwealth begin to feel the effects of new and higher taxes today, public records show that many of the legislators who voted to implement these higher taxes, such as the one on gasoline, are also benefiting from taxpayer funded reimbursements for when they travel to the Statehouse. Per diems are payments claimed by legislators intended to pay for their travels from their district to the Statehouse in Boston. From January 1, 2013 to July 1, 2013, 48 State Representatives and 11 State Senators who supported the transportation finance bill claimed per diem payments. A listing of the legislators who claimed per diems and voted for the gas tax increase are below. According to the American Petroleum Institute, today’s gas tax increase of 3 cents per gallon, tied to the rate of inflation, places Massachusetts above the national average for state excise taxes and Massachusetts drivers will be forced to pay 42 cents per gallon in state and federal taxes. “Paying 42 cents in federal and state taxes per gallon of gasoline is a big hit for working families. 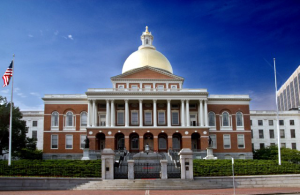 As the Legislature goes into recess, taxpayers should ask their elected officials who claim per diem reimbursements and voted for the gas tax hike why consumers need to pay this tax while some politicians don’t,” stated Paul D. Craney, Executive Director of Massachusetts Fiscal Alliance. 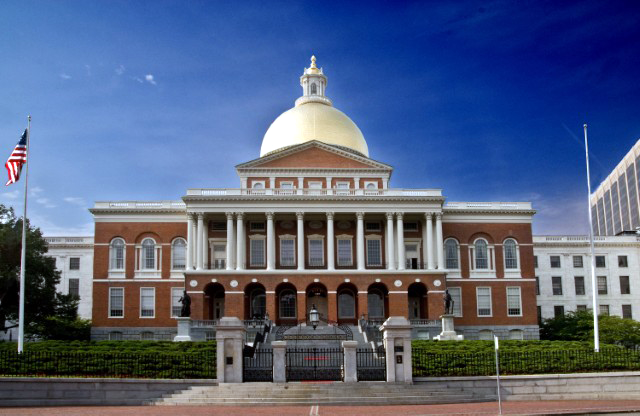 A listing of the legislators who voted for the transportation finance bill and claimed Per Diems reimbursements are: Rep. Denise Andrews (D-Orange), Rep. Ruth Balser (D-Newton), Rep. Carlo Basile (D-East Boston), Rep. Jennifer Benson (D-Lunenburg), Rep. Thomas Calter (D-Kingston), Rep. Linda Dean Campbell (D-Methuen), Rep. Tackey Chan (D-Quincy), Rep. Marcos Devers (D-Lawrence), Rep. Stephen DiNatale (D-Fitchburg), Rep. Diana DiZoglio (D-Methuen), Rep. Paul Donato (D-Medford), Rep. Tricia Farley-Bouvier (D-Pittsfield), Rep. Ann-Margaret Ferrante (D-Gloucester), Rep. Michael Finn (D-West Springfield), Rep. Danielle Gregoire (D-Marlborough), Rep. Patricia Haddad (D-Somerset), Rep. Russell Holmes (D-Mattapan), Rep. Jay Kaufman (D-Lexington), Rep. Mary Keefe (D-Worcester), Rep. John Keenan (D-Salem), Rep. Kay Khan (D-Newton), Rep. Peter Kocot (D-Northampton), Rep. Stephen Kulik (D-Worthington), Rep. David Linsky (D-Natick), Rep. Timothy Madden (D-Nantucket), Rep. John Mahoney (D-Worcester), Rep. Brian Mannal (D-Barnstable), Rep. Paul Mark (D-Hinsdale), Rep. Paul McMurtry (D-Dedham), Rep. Kevin Murphy (D-Lowell), Rep. David Nangle (D-Lowell), Rep. Jerald Parisella (D-Beverly), Rep. Sarah Peake (D-Provincetown), Rep. William “Smitty” Pignatelli (D-Lenox), Rep. Denise Provost (D-Somerville), Rep. Kathi-Anne Reinstein (D-Revere), Rep. Tom Sannicandro (D-Ashland), Rep. John Scibak (D-South Hadley), Rep. Alan Silvia (D-Fall River), Rep. Frank Smizik (D-Brookline), Rep. Ted Speliotis (D-Danvers), Rep. Ellen Story (D-Amherst), Rep. Cleon Turner (D-Dennis), Rep. Aaron Vega (D-Holyoke), Rep. Chris Walsh (D-Framingham), Sen. Benjamin Downing (D-Pittsfield), Sen. Linda Dorcena Forry (D-Dorchester), Sen. Jennifer Flanagan (D-Leominster), Sen. Patricia Jehlen (D-Somerville), Sen. Michael Knapik (R-Westfield), Sen. Michael Moore (D-Millbury), Sen. Richard Moore (D-Uxbridge), Sen. Michael Rodrigues (D-Westport), Sen. Stanley Rosenberg (D-Amherst), Sen. James Welch (D-West Springfield) & Sen. Daniel Wolf (D-Harwich).